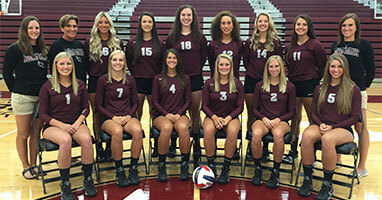 The Aquinas Women’s Volleyball team is off to a great start this year. Having won most of their matches in straight sets, the team currently sits with a 5-5 overall record and 1-4 WHAC record. The team is currently riding a two game losing streak and after a heartbreaking loss to Madonna University, things need to change. “The main team goal is to finish in the top of our conference by taking down Davenport and Cornerstone,” said junior Dayle Wood. It’s a clear sign that the team is able to move on from losses quickly and turn their attention to their next opponent. With some new faces in the form of first-years and transfers, it’s no secret that the team has depth, which will be crucial come the conference tournament. The new faces this year include freshmen Kristin Danielson, Marisa Spetoskey, Stephanie Chenlo, and transfers Katlyn Agren and Micaela Hazen. Currently leading the team in kills is junior Michaela Ryan with 65 in 26 sets played. That puts her at an average of 2.5 kills per set, just behind sophomore Cammy Means 2.92 average. Leading the team with an whopping 247 assists is junior Brooke Wieland. Wieland accounts for 79% of the team’s assists and averages 9.5 per set. Leading the team in kills against Madonna was sophomore Kenzie Haley with seven. Senior Sierra VanTil, Ryan, and Hazen all chipped in with six. Unfortunately, it wasn’t enough as Aquinas lost in straight sets with a third set score of 23-25. Back at the helm of things are the mother/daughter coach duo of Betsy and Katie Vander Meer. Both are in their fourth year coaching the Aquinas Volleyball Team after spending some time coaching in the youth ranks. Beginning her second year of coaching with the team is Erin Jurek. Jurek, who attends Grand Valley State University, has coached club volleyball and was most recently the assistant coach for Rockford High School. It comes as no surprise that the experience these coaches possess will translate into success on and off the court for these young women. The Saints next matchup is tonight, 7 p.m. at the Sturrus Center against the University of Northwestern Ohio. The Saints will then hit the road for matches against the University of Michigan-Dearborn and Concordia University before returning for a three game home-stand. Taylor Hodges is a senior majoring in Sport Management/ Business Administration. He is the sports editor for The Saint and interns with the public relations department for the Grand Rapids Griffins. 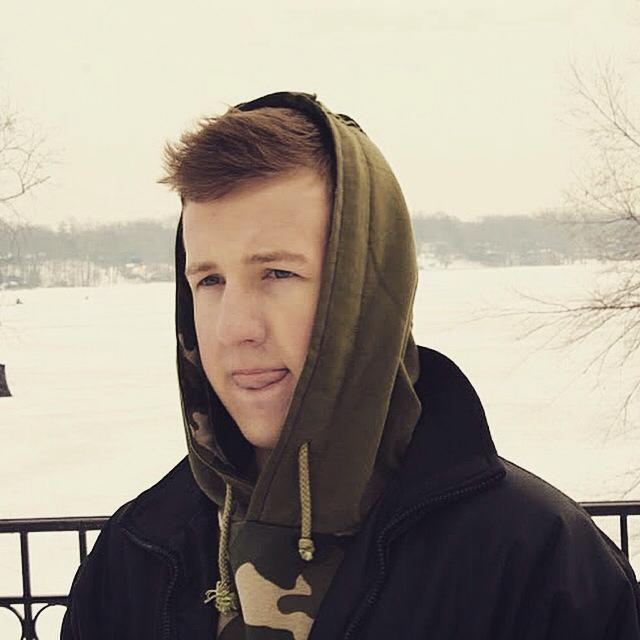 He hopes to one day break into the hockey business as a General Manager, but until then, encourages you to follow him on Twitter and download his mixtape.